Association Editor, ABA Litigation journal. 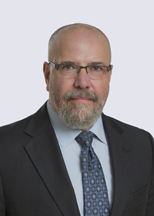 Len Niehoff is a litigation attorney who possesses 35 years of experience focusing in the areas of media law, higher education law, and appellate litigation. A variety of major media outlets have quoted him as an expert on legal issues, including the New York Times, the Washington Post, the Wall Street Journal, the Huffington Post, National Public Radio, Variety, Voice of America, Vice News, Bloomberg Legal, Politifact, the Intercept, the Columbia Journalism Review, the Chronicle of Higher Education, USA Today, the Detroit News, the Detroit Free Press, Crain’s Detroit Business, and others. Leonard M. Niehoff, co-author, “The Resilience of Noxious Doctrine: The 2016 Election, the Marketplace of Ideas, and the Obstinacy of Bias.” Deeva Shah, co-author. Mich. J. Race & Law 22, No. 2 (2017): 243-271.